Based on 802 customer ratings. Our Oak Park location has all the delicious Giordano’s dishes you’re craving. Stop by our full dining room and let us take care of everything as you enjoy a glass of wine or beer, or place an order for pickup or delivery! Did you know the best deep dish pizzas in the world are right here in Oak Park? Welcome to Giordano’s, Chicago’s best pizza place for over 40 years! When you order from Giordano’s, you’ll get a carefully handcrafted pizza pie that’s built with care. Our artisanal pizzas are unmatched in flavor and flakiness, and you’ll see why we’re the best pizza place in Oak Park with every mouthwatering bite. Are you ready to discover the unmistakable heritage of Giordano’s stuffed pizza? Artisanal Pizza That’s Expertly Constructed. Artisanal dining might be a hot restaurant trend but we’ve always done it this way at Giordano’s. It takes 6 trained craftsmen to construct just one pizza. Our artisans build layers of the freshest and most flavorful ingredients, including the ripest tomatoes and mozzarella made just for us on a small farm in Wisconsin. 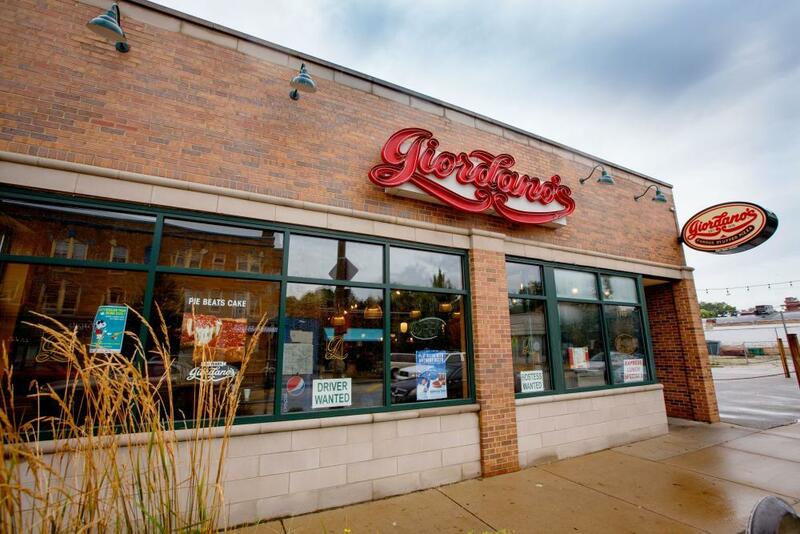 With a tradition like ours, it’s no wonder Giordano’s is the best pizza delivery in Oak Park. Each Giordano’s stuffed pie is a meal on its own, but if you’re looking for something extra to complete your Giordano’s experience, take a look at our full menu! We have expertly crafted pastas, specialty sandwiches and zesty appetizers. We also have fresh salads and gluten-free options for healthier dining. Just ask!